The existing Omoove platform will be integrated within Safo Group’s platform to develop an innovative solution together with a range of services aiming to provide a more efficient and user friendly fleet management tool. Rome,4th July 2018: Omoove an Octo company, a European leader providing Shared Mobility services,announced his partnership with Safo Group, which has been working alongside their European clients for more than 35 years, supporting small and large corporate customers and developing customised software solutions for a combined fleets of over 1,000,000 vehicles. The objective is to deploy an enhanced platform able to fit the fleet manager requirements that, day by day, need more and more added value services such as: a predictive modelling vehicle maintenance thanks to the driving behaviour profiling, on board diagnostic and big data analytics; Real-time drive trackingand diagnostic alerts,can improve fleet utilisation, safety and productivity; Road Assistance; Maintenance request and booking, Tyre management; Traffic fines management.The Fleet Manager will be also allowed to produce some automatic reports making the list of business travels or the mileage detailed statistics. This new platform is focused on the drivers as well, providing the same range of services for either private and company vehicles. The related new Mobile App scoring functionality will invite the driver to complete e-learning modules improving the vehicle status and driver safety. The predictive maintenance, based on the driver behaviour, will advise of a service booking and the service centre will be alerted in advance that the driver is in need of assistance. The App will also support the driver with the alternative mobility solutions available. 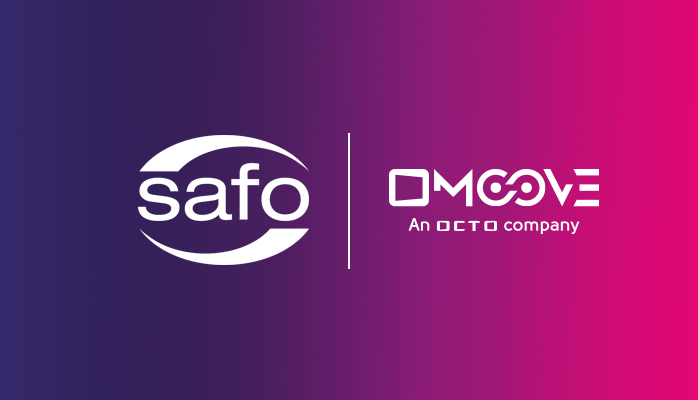 Giuseppe Zuco, CEO, Omoove and Octo Co-founder says:“We are pleased to share our expertise with Safo aiming to provide a wide range of services to improve and support the fleet management sector and to make available complete but easy-to-use solutions”. Elpidio Sacchi CEO, Safo Group says:“A meaningful step forward to ‘red carpet’ fleet solutions in a new integrated mobility world”.